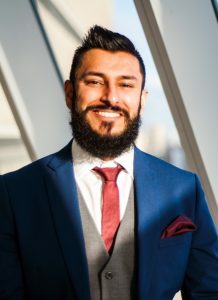 Kevin Singh, MSW (University of Windsor) is a Registered Social Worker (ON) and a member of both the Ontario and Canadian Associations of Social Work. Kevin’s areas of expertise includes working with men who experience difficulties with intimacy, both sexual and relational, and who have the desire to improve their ability to communicate effectively with their partners. He also works with men who have concerns about their mental health, with their ability to regulate their substance use and with those who struggle with painful emotions such as shame, guilt and with low self esteem. Kevin works with men from diverse ethnic, cultural and religious groups. His approach is nonjudgmental, and based in current best practices in the field. Though supporting his clients to develop healthy masculine identities, Kevin’s clients are able better understand their vulnerabilities, both past and present, and therefore better able to create lasting change. Kevin has extensive training in crisis management, promoting resiliency and with motivating clients towards making positive changes in their lives. Kevin currently has daytime, evening and limited weekend availability. In addition to English, Kevin can provide therapy in Punjabi and Hindi. You can make an appointment with Kevin at kevin@sextherapytoronto.org or at 647-809-8438.